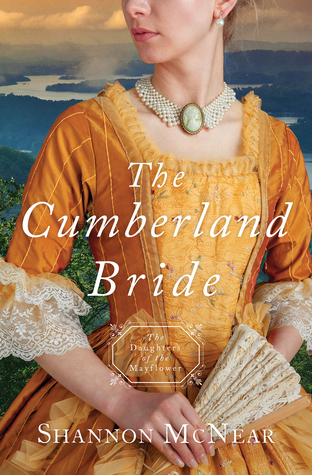 The Cumberland Bride by Shannon McNear is the fifth book in the Daughters of the Mayflower series. This series just keeps getting better and better with each book. This book was an excellent read! I love that this book is a wagon train book with romance, Indians and trains. This book was engaging, a great read and I enjoyed the plot. With good conflict and hardships, this book was captivating. Overall, I thought this was another great addition to the series. I give this book 4/5 stars.